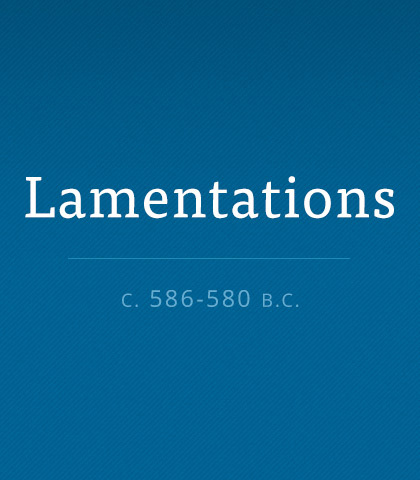 Lamentations pictures a man puzzling over the results of evil and suffering in the world. Jeremiah lamented a tragedy of Jerusalem's making. Read more about the book of Lamentations. Walking by faith is never boring; in fact we can become kind of infectious. Each day we have an opportunity to draw others closer to Christ by living out the Gospel.